Hinweis: die ist ein HowTo für die TrainingLab Pro PC Software und in englischer Sprache gehalten. Many newer devices are synchronizing the recorded data via Bluetooth or WLAN to the linked web services automatically. Thus, this functionality is mostly based on a proprietary protocol, TrainingLab Pro – like many other similar applications – isn’t able to utilize this functionality. But if your training data will be saved to a public cloud service, that can be embedded in the Windows file system you could automatize this process in some way by using TrainingLab Pro’s auto import functionality. 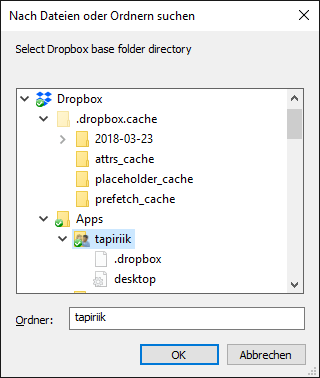 -> I will explain the steps for the integration of the Dropbox webservice. Other services like OneDrive or GoogleDrive works similar.